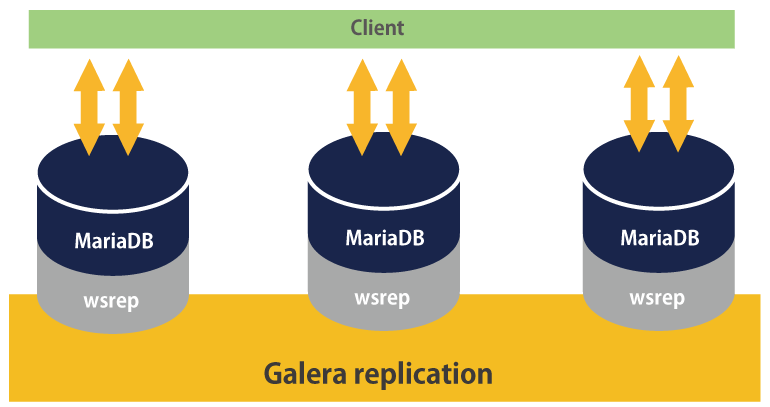 MariaDB Galera Cluster is a synchronous multi-master cluster for MariaDB, available on Linux only, and only supports the XtraDB/InnoDB storage engines . 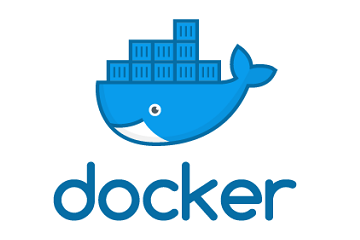 It is designed to provide high availability and high throughput with low latency, while allowing for near linear scalability. MySQL Cluster is implemented through the NDB or NDBCLUSTER storage engine for MySQL ("NDB" stands for Network Database). 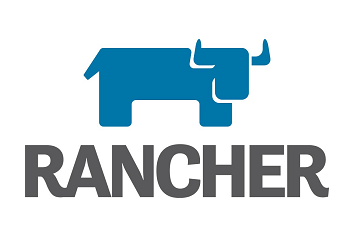 MySQL features include: synchronous replication, active-active multi-master topology, read and write to any cluster node, automatic membership control, parallel replication on row level, direct client connections, and native MariaDB look & feel. These features yield several benefits for a DBMS clustering solution, including: no slave lag, no lost transactions, both read and write scalability, and smaller client latencies. Step 1: Add the MariaDB repository to three MySQL nodes. Step 2: Install MariaDB and the prerequisite packages. Step 3: Enable the Mariadb service to start at boot, but do not start the service just yet. Step 7: Make a backup of the server.cnf file and then edit the file to include the below. Step 8: Create the mariadb.log and give the mysql account the appropriate permissions. Step 9: Repeat the above steps on each MySQL node that will participate in the MySQL Cluster. Be sure to alter the below fields in the /etc/my.cnf.d/server.cnf file to reflect the correct IP address and hostname that is applicable to each node. Step 11: Improve the MySQL installation security by running the command below. Take all of the default which are the most secure. You will also be asked to change the MySQL root password which is recommended you change. By default the MySQL root user password is blank. Step 12: Login to MySQL and run the below query to confirm the number of nodes in the cluster. Step 13: Start MySQL on the other member nodes, mysql02 and mysql03. Notice the command to start the mariadb service is different on subsequent member nodes. Step 14: Login to MySQL and run the below query again to confirm the number of nodes in the cluster has increased. Step 15: Confirm port 4567 is actively listening for replication connections. Step 16: Confirm port 3306 is actively listening for MySQL connections. Step 17: Test replication by creating a new database on one node and then verify the database is replicated to other nodes. Use the below query on the source node used to create the database and on member nodes to verify replication. Step 18: Shutdown mysql01 and check the cluster size from one of the member nodes. Step 19: Bring mysql01 back online and confirm all three nodes are connected. Step 20: Confirm all three node IPs are listed in wsrep_incoming_addresses. Disconnected nodes are removed from replication automatically. Step 21: The below query will confirm which version of MySQL you are running. Step 22: The below query will confirm which format is the default on the MySQL Server. Step 23: In the event of a total shutdown of a MySQL Cluster nodes will not start automatically. The first step to restarting the cluster is to find which node has the safe_to_bootstrap set to 1 in the grastate.dat file. Step 24: On the MySQL node with safe_to_bootstrap set to 1 start MySQL with the below command. Step 25: After the initial node is started start the remaining nodes with the below command. Notice the command to start the mariadb service is different on subsequent member nodes. Step 26: Login to MySQL and run the below queries again to confirm all three nodes are online.